Weddings… Conferences… Family reunions… Business meetings… Retreats… Church youth groups… There’s always a need for a larger facility to accommodate groups and events. If you’re looking for something that will meet your group’s needs, check out the many options available in Northeast Georgia. You’ll be pleasantly surprised! The Brenau Downtown Center is an event facility operated by Brenau University. Featuring nearly 4,500 square feet of meeting/ballroom space and an executive boardroom, the Downtown Center provides a comfortable, cost-effective venue for a wide variety of social and business events. A 300-seat performing arts theatre completes the facility with an elegant setting for plays, pageants and dance performances. The Brenau Downtown Center is perched on the edge of Gainesville, Georgia’s bustling downtown square and is within walking distance of several fine hotels and restaurants. 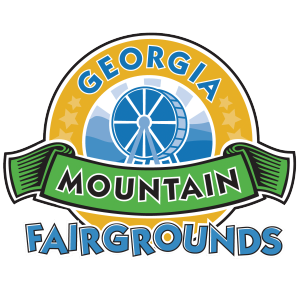 Since its opening, the Georgia Mountain Fairgrounds has served as the premier event venue for the North Georgia Mountain region. It serves as host to countless events throughout the year, including art festivals; world-class bluegrass concerts; country, gospel and rock ‘n’ roll performances; visiting conventions; dance shows; and heritage festivals. The two largest each year are the Georgia Mountain Fair in July and Georgia Mountain Fall Festival in October. 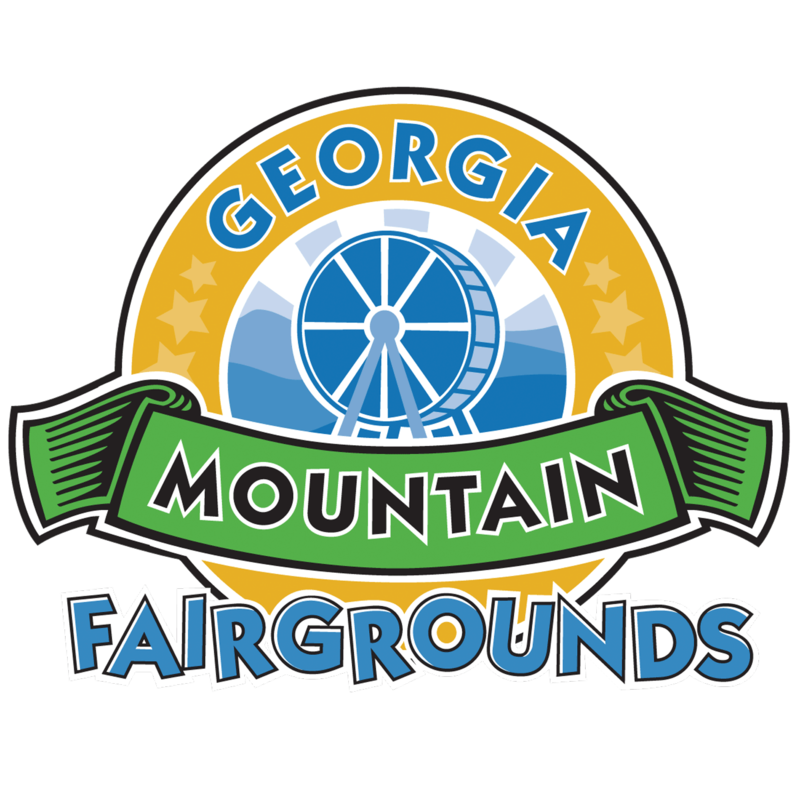 The Georgia Mountain Fairgrounds is located along the shores of beautiful Lake Chatuge in the mountain community of Hiawassee; it’s only two hours from Atlanta, Greenville, Asheville and Chattanooga. Scattered throughout the fairgrounds are 189 camping and RV sites that offer modern conveniences such as water, electricity, telephone and cable service. Amenities include two playgrounds, a boat ramp, two tennis courts, paved playing courts, shaded picnic tables and the Hamilton Rhododendron Gardens. Located just one short block off the historic Gainesville Square. Robson Event Center is an expansive facility with exposed brick walls, Old World plaster with layers of faux finishing, reclaimed hardwood floors and an exposed beam ceiling. An antique Mahogany bar is a major focal point in the main ballroom. Robson Event Center offers the rustic elegance of a historical venue with all of the amenities of a contemporary space, hosting from 50 to 400 in the banquet hall. Robson offers the unique opportunity to make your ceremony and reception stand out at one of the best priced wedding venues and reception sites in the Atlanta and Northeast Georgia areas. Robson Event Center serves mainly as a wedding venue, but also hosts a variety other special occasions and corporate events. Robson Event Center has been filled with love, laughter, music, friendship, great food, fun and wonderful memories. This is everything you need for a great wedding place or other special event! From lavish wedding rehearsals, wedding ceremonies and wedding receptions to corporate downtown business functions and festive holiday parties, Robson Event Center offers a wonderfully customizable environment designed to make your event truly unique and memorable. Offering various options, Robson features a total of 11,000-square-feet of enclosed space. Staff can help you with coordinating and planning your wedding, trade show, seminar, fundraiser, business function, party or corporate event to be exactly the way you want it to be for fond memories which last a lifetime. Nestled in the mountainous corner of Rabun County in Northeast Georgia, Splendor Mountain Resort is the ideal lodge and destination wedding resort. Family reunions, company cook-outs or back-to-nature weekends are also perfect. The luxurious cottages provide privacy while the resplendent meeting lodge encourages connectiveness and creativity. Stay on property and meander the wooded trails or relax in a rocker. Nearby activities include whitewater rafting, hiking trails including the Appalachian Trail, golf, nearby lakes, Black Rock State Park, trout fishing streams, waterfalls and more. Located near Clayton and just 1.7 hours from Atlanta or 2 hours from Greenville, this 75-acre resort is a unique repose from your busy life. Breathtaking vistas and serene waterfalls make a perfect setting for your wedding. Splendor Mountain simplifies your wedding by being a destination resort. Choose from either the Sunrise Lodge, Shadow Rock Pavilion or Providence Garden for your ceremony or reception. The Sunrise Lodge has a restaurant kitchen to meet all your food preparation needs. Gather your group & work together as a team. The harmonies of nature in these Georgia Mountains make a perfect setting for your group event. Challenge your abilities or lead others as they work to find their way. Experience the thrill of the outdoors from the magnificent Tallulah Gorge to the wild whitewater of the Chattooga River. Challenge your group as they fly through the canopy of the Chattooga Ridge on ziplines, face the fury of Section IV of the Chattooga River from the slippery slope of a raft, wrangle with ropes (high or low course), discover unknown talent with kayaks and canoes, or breathe in and enjoy nature at its finest on the back of a horse. 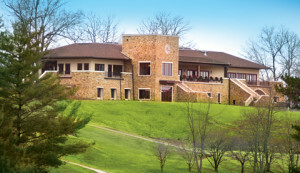 The Union County Community Center, located in the heart of Blairsville, Georgia, overlooks the beautiful Butternut Creek Golf Course. The UCCC, open to the public, is available for banquets, business meetings, conferences, weddings, reunions and receptions. The new facility is equipped with the latest technology, including internet access and audio visual presentation systems. The UCCC is also home to the Butternut Creek Golf Course Pro Shop, The View Grill, Chamber of Commerce & Welcome Center and the Union County Development Authority offices. Whether you’re looking for an impressive venue to host a special occasion or planning a conference with 150 attendees, the UCCC is the perfect location.